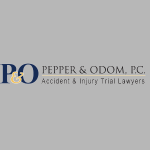 5 Bones That Break Often in Car Accidents | Pepper & Odom, P.C. Whether a car accident is minor or severe, there’s always a potential for broken bones. Even in low-speed collisions, leg and arm bones can be broken due to the force of the crash or even from air bag deployment. Learn about the 5 bones most likely to break in a car accident and how to get financial restitution if another driver’s negligence was responsible for your injuries or the injuries of a loved one. Bones in the foot and ankle are small and fragile. They are easily crushed by the impact to the front of the vehicle when the front end collapses on itself. Feet can become pinned by twisted metal, and often, surgery is required if the damage to these bones is significant. People often instinctively put their arms in front of their face to shield themselves from an accident they see coming. However, this causes the arm bones to break easily. Any bone from wrist to shoulder is vulnerable, depending on where and how the impact occurs. When the airbag deploys, it often strikes the driver in the face. It comes out with such force that the nose or jaw can break. While this is certainly preferable to the injuries that can occur without an airbag, broken facial bones take a long time to heal and may cause permanent disfigurement. Like foot bones, leg bones can take the brunt of the force of a collision. Many people involved in a car accident end up with a broken leg bone. Any bone in the leg could break, such as the femur, tibia, or the smaller bones in the knee. Broken leg bones can make mobility difficult, if not impossible for at least a period of time after the collision. Hand bones are frequently broken in car accidents for the same reason as arm bones. People often, without thinking, use their hands to shield their face. Or, the hands can become damaged during the accident if the impact of the accident crushes the vehicle into the steering wheel or the cab of the car. Broken bones can cause victims of car accidents to need hospitalization, surgery, time out of work to heal, and may even cause victims to become temporarily or permanently disabled. If you need aggressive legal representation after a car accident to obtain the full and fair compensation you deserve, call Pepper & Odom P.C. today at 601-202-1111 or 205-250-1107.